Following on the heels of her exciting and widely acclaimed A Monster's Notes, and with Sheck's characteristic brilliance of language, Island of the Mad follows the solitary, hunchbacked Ambrose A., as he sets out on a mysterious journey to Venice in search of a lost notebook he knows almost nothing about. Eventually he arrives in San Servolo, the Island of the Mad, in the Venetian Lagoon, only a few minutes' boat-ride from Venice. At the island's old, abandoned hospital which has been turned into a conference center, he discovers a mess of papers in a drawer, and among them the correspondence and notes of two of the island's former inhabitants--a woman with a rare genetic illness which causes the afflicted to gradually become unable to sleep until, increasingly hallucinatory and feverish, they essentially die of sleeplessness; and her friend, a man who experiences epileptic seizures. As the sleepless woman's eyesight fails, she wants only one thing--that her friend read to her from Dostoevsky's great novel, The Idiot, a book she loves but can no longer read herself. As Ambrose follows their strange tale, everything he has ever known or thought is called into question. 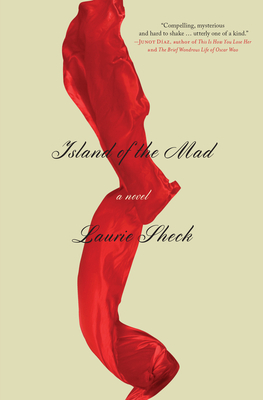 Laurie Sheck is the author of A Monster's Notes, a re-imagining of Mary Shelley's Frankenstein, which was selected by Entertainment Weekly as one of the 10 Best Fictions of the year (2009), and long-listed for the Dublin Impac International Fiction Prize. Her five books of poems include Captivity and The Willow Grove, which was a finalist for the Pulitzer Prize. A recipient of awards from the Guggenheim Foundation and the National Endowment for the Arts, she has also been a fellow at the Radcliffe Institute for Advanced Study at Harvard, and the Cullman Center for Scholars and Writers at the New York Public Library. Her work has appeared in numerous publications including the New Yorker, The New York Times, The Paris Review, and The Nation. She is a member of the graduate faculty at the New School, and lives in New York City.